Roam the Palawan Wildlife Rescue and Conservation Center and see Philippine crocodiles! Indulge your sweet tooth as you visit Baker’s Hill, famed for its baked goodies and treats! You'll get picked up and dropped off right at your hotel in a convenient, hassle free transfer! Puerto Princesa is more than its scenic surroundings and beautiful beaches; it's also a location full of amazing cultural locations that are vital to every tourist's visit. Your first stop, the Palawan Wildlife Rescue and Conservation Center, is a valuable sanctuary that protects the fauna found within the region. You'll not only be able to observe the Philippine crocodiles, but also other animals such as ostriches and bearcats. Then it's off to Mitra's Ranch, which gives you a spectacular panoramic view of Puerto Princesa. You'll find yourself craving for a sweet treat when you hit your next spot at Baker's Hill, which is famed all over the Philippines for its sweets, with everything from cashew nuts, hopia, brownies, and more local delicacies that are perfect for snacking and bringing home as souvenirs. 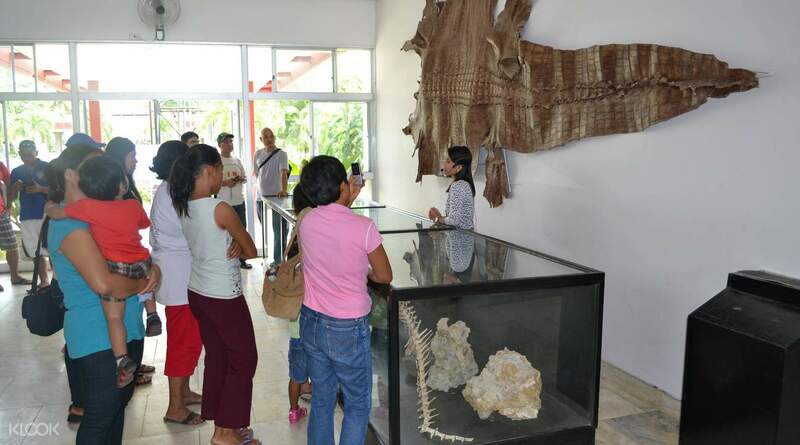 At Binatuan Creations' Weaving Loom Center, you'll be able to see and even try making handloom woven products and items made from indigenous fibers, which are vital to local economy. 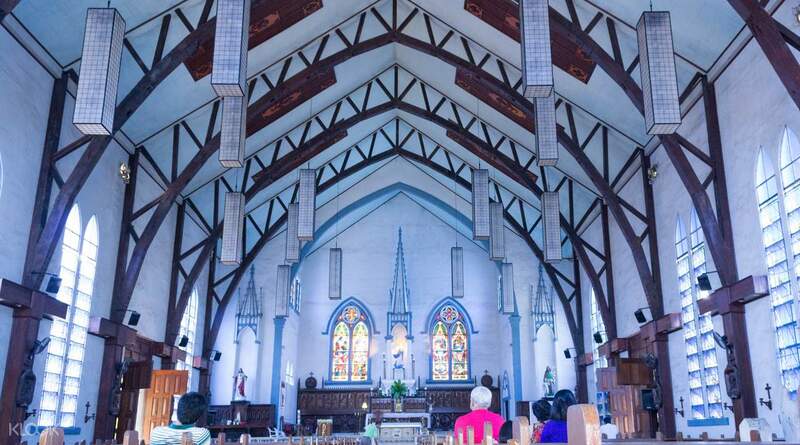 You'll then visit the Immaculate Concepcion Cathedral, a historically poignant location which held the first Catholic Mass in Puerto Princesa during the Spanish Era. More Spanish-era history will be found in the Plaza Cuartel, used as a garrison by Spanish soldiers in WW2. You'll end the tour with time to relax with a stroll down the Promenade and Baywalk, with time to step into the souvenir shops for gifts. 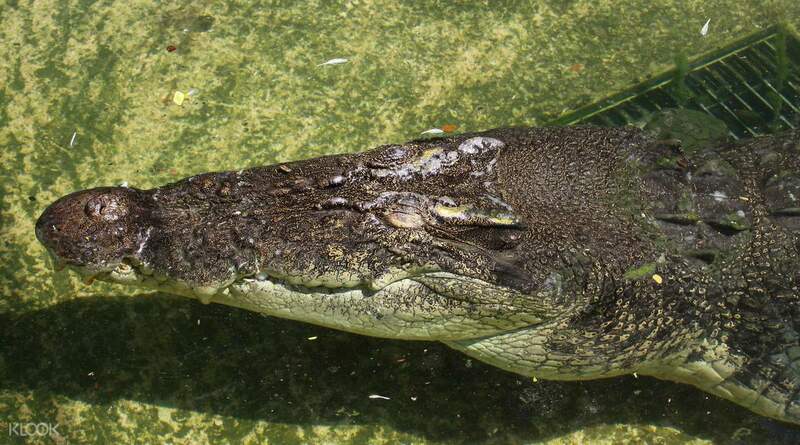 You'll even see Philippine crocodiles at the wildlife sanctuary! The tour was smoothly done and well executed! We enjoyed our tour inside the crocodile farm and of course the Bakers Hill! Our tour guide Ryan is very nice and well spoken. We learned a lot from him. Thank you klook for making our tour successfull! The tour was smoothly done and well executed! We enjoyed our tour inside the crocodile farm and of course the Bakers Hill! Our tour guide Ryan is very nice and well spoken. We learned a lot from him. Thank you klook for making our tour successfull! Me, my brother, our nephew and niece enjoyed this wonderful tour. I was worried at first that our tour wont be that fun, but i was wrong. Our tour guide was great and knowledgeable about each tourist spot. Our fellow joiners are wonderful companions as well (thanks for the free c2). thank you klook for this well organized tour! Me, my brother, our nephew and niece enjoyed this wonderful tour. I was worried at first that our tour wont be that fun, but i was wrong. Our tour guide was great and knowledgeable about each tourist spot. Our fellow joiners are wonderful companions as well (thanks for the free c2). thank you klook for this well organized tour! We had one day stay at PPS since our main travel to Palawan was to visit the Balabac, so we opted to have this city tour quick getaway. Highly recommended, less hassle and our tourguide, I call her “ate Val” even if he/she is not an ate in real sense 😏 was very accommodating, and we even had a free box of freshly baked ube hopia from Baker’s Hill, individually, which my husband loved the flavor so much! We had one day stay at PPS since our main travel to Palawan was to visit the Balabac, so we opted to have this city tour quick getaway. Highly recommended, less hassle and our tourguide, I call her “ate Val” even if he/she is not an ate in real sense 😏 was very accommodating, and we even had a free box of freshly baked ube hopia from Baker’s Hill, individually, which my husband loved the flavor so much! Everything was spot on. They even sent me a text message the night before the tour. I did not have problem on waiting since they arrived within 30 minutes after 7 AM and they went straight to my hotel lobby to pick me up. I was hesitant at first on pushing through since I was alone and joining other people in groups might make me feel completely out of place. But I was wrong! The tour guide (Kuya Xio), the driver, and the other joiners were really nice. Knowing that I was alone, Kuya Xio extended his helping hand in taking my pictures. He even went the extra smile when he lent me money (because I forgot my wallet in the car) when I decided to buy my souvenir photo with a young Crocodile (of course, I immediately paid him after visiting the Crocodile Farm. haha). His recommendations (e.g. where and what to eat/drink in Puerto Princesa; what other places to visit beyond the city) were really useful. I would like to have Kuya Xio accompany us the next time I visit Palawan with my family or friends. Everything was spot on. They even sent me a text message the night before the tour. I did not have problem on waiting since they arrived within 30 minutes after 7 AM and they went straight to my hotel lobby to pick me up. I was hesitant at first on pushing through since I was alone and joining other people in groups might make me feel completely out of place. But I was wrong! The tour guide (Kuya Xio), the driver, and the other joiners were really nice. Knowing that I was alone, Kuya Xio extended his helping hand in taking my pictures. He even went the extra smile when he lent me money (because I forgot my wallet in the car) when I decided to buy my souvenir photo with a young Crocodile (of course, I immediately paid him after visiting the Crocodile Farm. haha). His recommendations (e.g. where and what to eat/drink in Puerto Princesa; what other places to visit beyond the city) were really useful. I would like to have Kuya Xio accompany us the next time I visit Palawan with my family or friends. Overall experience for the tour was great. Pickup time was reconfirmed on the day of tour via text message. Van picked us up on time. Tour guide was very kind and knowledgeable. The tour covered almost all tourist attractions and stopped over a souvenir shop. Snacks from Baker's Hill was provided. Unfortunately, we were not able to go to Butterfly Garden due to lack of time. Overall experience for the tour was great. Pickup time was reconfirmed on the day of tour via text message. Van picked us up on time. Tour guide was very kind and knowledgeable. The tour covered almost all tourist attractions and stopped over a souvenir shop. Snacks from Baker's Hill was provided. Unfortunately, we were not able to go to Butterfly Garden due to lack of time. The tour guide named Aida was nice. They were on time to pick us up at SM however the other group took some time before coming down from their hotel. Schedule was tight but overall good, she even gave us free snacks. The tour guide named Aida was nice. They were on time to pick us up at SM however the other group took some time before coming down from their hotel. Schedule was tight but overall good, she even gave us free snacks.